Clear Smart / Intelligent film that becomes translucent. Transparent or translucent: you choose by clicking an electric switch. 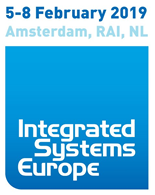 This technology offers a enormous wide range of applications. This technology is called a polymer liquid crystal technology in combination with projection films we manufacture in Holland. 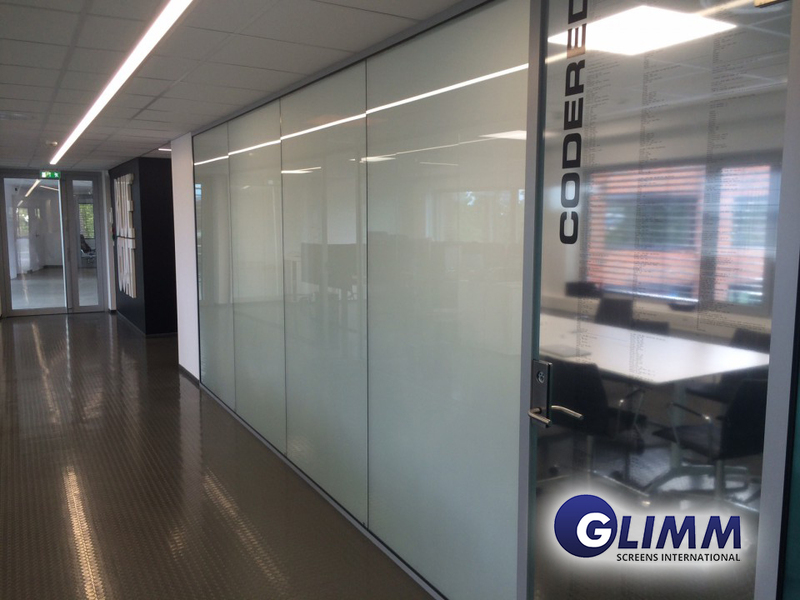 The products we produce are two types of switchable smart film and is also available as switchable smart glass. The Glass products we are using is from a very fine liquid crystal polymer which changes its visual appearance when a electrical current is activated. 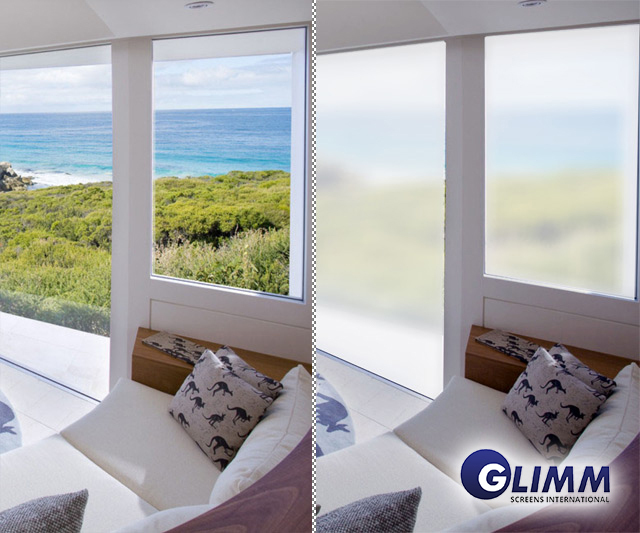 A simple on/off mode transforms the glass from being clear (transparent) to opaque. 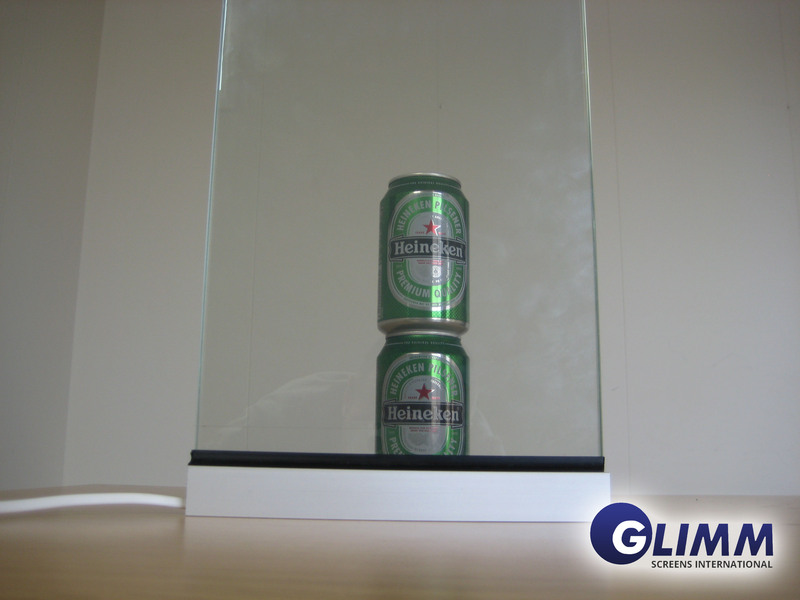 When the glass is in it’s opaque or frosted state, it can used as a projection surface to create high definition display screens. 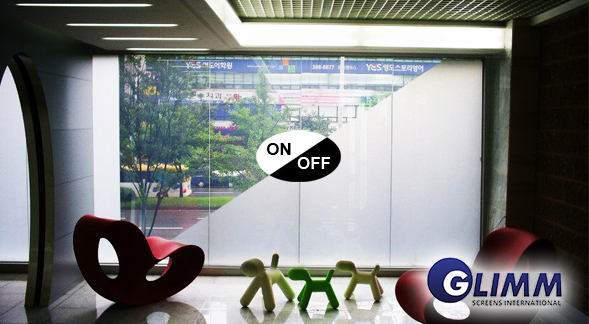 Ask for the different possibility’s like smart glass, smart film, mirror glass, interactive glass. Our project team is glad to support you! A smart film with multi-touch capabilities. 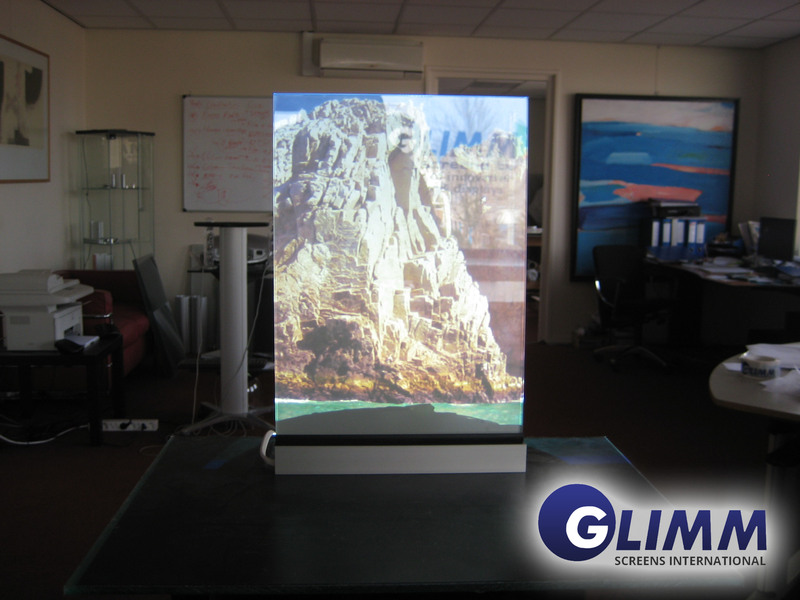 Smart film in combination with Glimm holographic film. Smart film in combination with the Glimm PCT film.